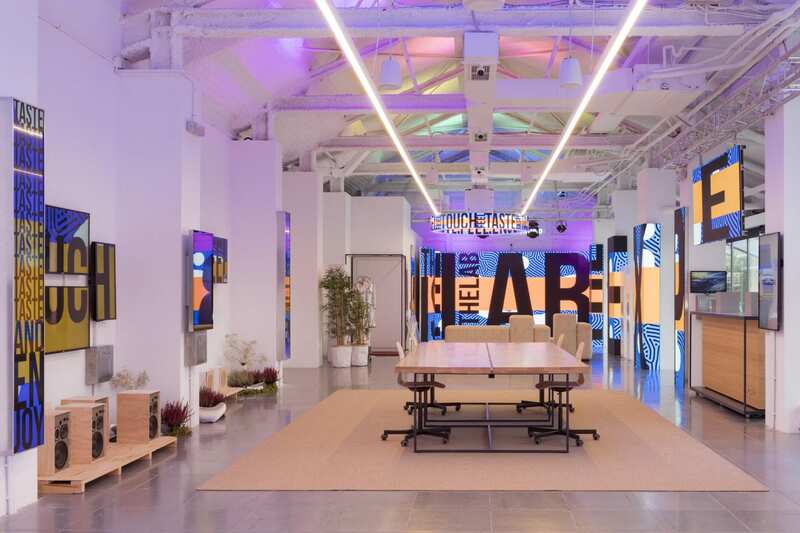 This new space, situated in the most innovative district of Barcelona, “el 22@”, captures the latest trends in technology, and offers a unique sensorial experience to all its visitors. It is something of a unique setting in Spain, both creative and innovative, conceived to show to our clients, partners and suppliers the latest news in the market. 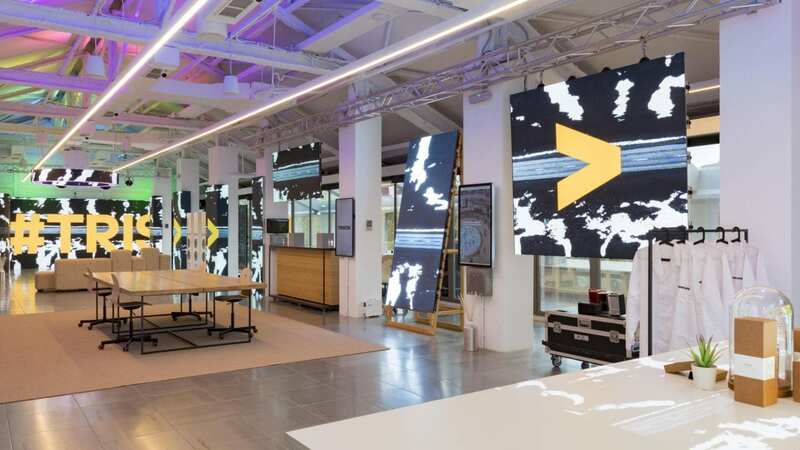 The opening of the Lab is incorporated into the strategy of the company to consolidate it as a global leader within the sector of the digitalisation of spaces. 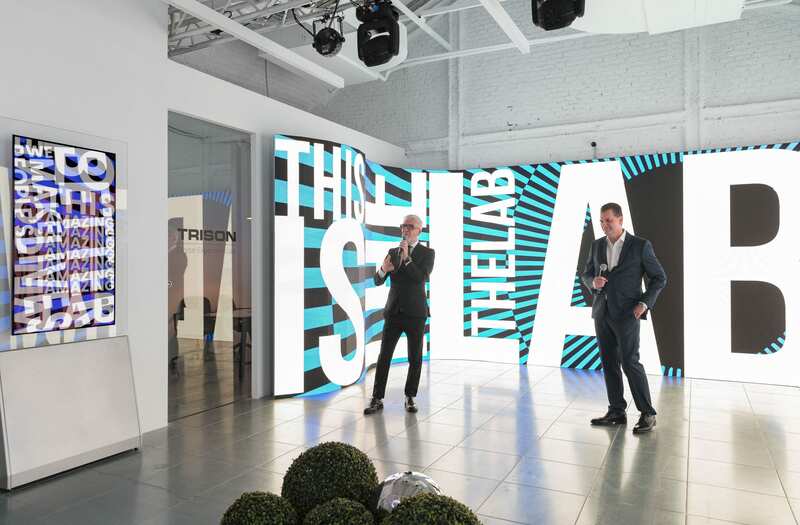 The TRISON Digital Experience Lab is a futuristic space than emanates innovation off all four walls. Equipped with the latest audiovisual integration technology and sensory marketing, the lab has opened its doors offering surprising and state of the art solutions: Giant LED screens with immersive animation, intelligent changing rooms, interactive mirrors, data analysis tools using biometric heat maps, gestural and facial recognition systems, or scent marketing tools (Akewuele), among others. The digital transformation is a reality on a global scale, and while E-commerce is at a high point, the physical point of sale still allows for the creation of customer loyalty with greater efficiency. Therefore, the integration of these types of technological solutions allows us to transfer the online experience of any brand to any physical space, thereby achieving the impression of a single-channel with its client. Alberto Cáceres, CEO of TRISON, explains that “Barcelona, and the 22@ district in particular, are one of the best global showcases on a technological level. 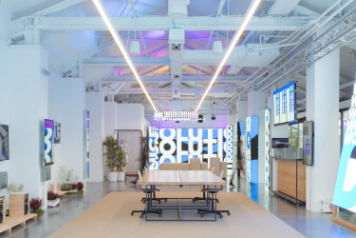 The Digital Experience Lab allows TRISON to generate multiple synergies and, above all, to demonstrate its capacity for continuous innovation when offering solutions to companies that look to offer unique and personalised experiences to its clients”. The presentation of the new space included a morning press conference with the press, and a social event in the evening. The social event, to which a large part of the business and civil society of Barcelona attended, paid a special tribute to the well-known science-fiction film “Close encounters of the third kind” and boasted a spectacular audiovisual performance that brought together live music, screenings on LED screens, and fusion of electronic and live music. Ultimately, this new space unleashes a new phase of change in TRISON, a new direction with a new destination to which the company embarks on with all the eagerness and experience cultivated from its 26 years of experience.